Online maps have become an essential part of anyone’s lives these days. They help us navigate to our destination no matter where in the world we’re. And when it comes to such maps, Google Maps are the de-facto standard worldwide. They’ve got nearly every major city mapped with enough detail and accuracy, thriving on the solid base of data submitted by users over the years. 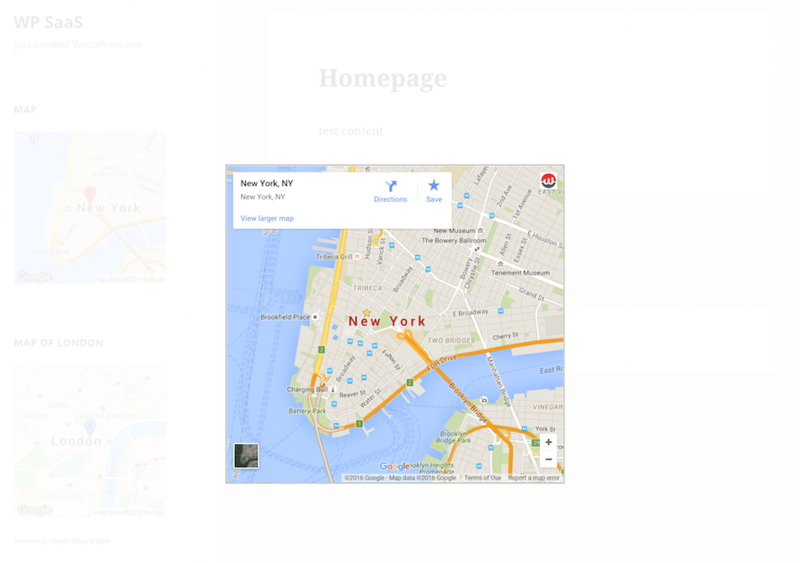 And with its Maps API Google has also made it quite easier for companies to embed its maps in their websites. Moreover, if you’ve a WordPress based website, embedding a Google map in your site can be very easy with right plugin. Unfortunately, such plugins usually don’t come for free. Fortunately, you’ve come to a place where you can stand a chance to get one of them for free. We’re pleased to announce that Google Maps Widget Pro plugin has partnered with us to giveaway 3 licenses of its highly useful map plugin. Each license is worth $67 and includes lifetime support, lifetime upgrades and access to all Pro features that currently exist or may be launched in future. The access is totally unlimited as you can use the plugin on as many sites as you wish. With this giveaway, you can stand a chance to win all of this. 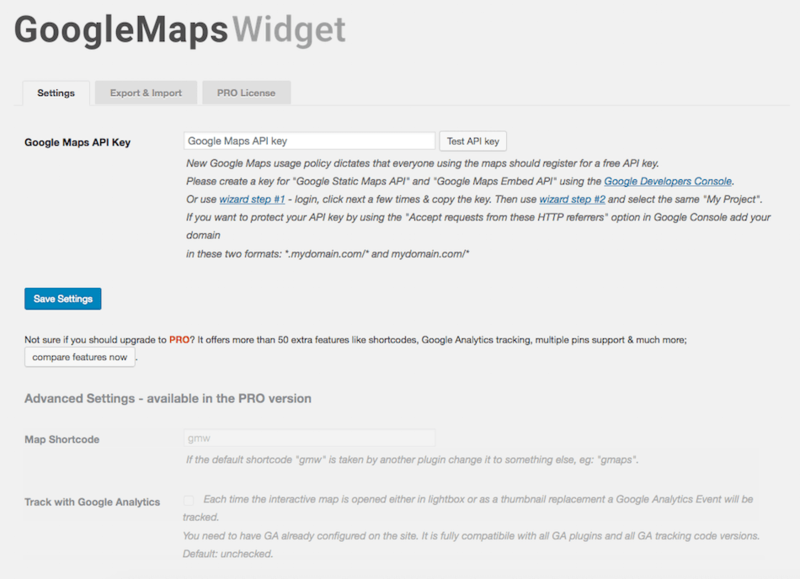 Google Maps Widget Pro is a great WordPress plugin that anyone can use to easily embed Google Maps in his/her WordPress site. It can be used to embed a map in almost any part of site, including pages, posts, widgets, sidebars and even menus. One just needs to create the maps in this widget and embed them with help of shortcodes. It’s that simple – there’s no step 3! Due to its unparalleled ease of use Google Maps Widget Pro is trusted by more than 100,000 users worldwide. The 4 years of active development and support has made it go-to choice among WordPress users to embed maps in their sites. It’s the most popular map plugin in WordPress plugin repository. Speed: Google Maps Widget Pro is fast not only in setup but also in loading. Instead of using multiple requests to download resources while loading, it uses just one single request to load the maps embedded in any webpage. 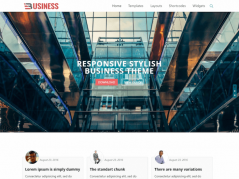 Customization: It has got features that can be used to make it look according to any theme that you may be using. Lightbox skins, custom pins and map styles are some of its many features that allow you to customize your maps as you wish. Full-Fledged Maps: Almost every feature of Google Maps that you may need is supported by the plugin. Street View, satellite imagery, information bubbles and multiple pins all are supported by Google Maps Widget Pro. 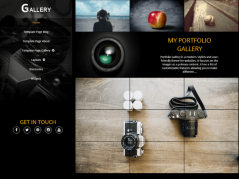 Premium Support: The makers of this plugin are very good at providing support as well. Most questions are answered within 3 hours of being mailed. 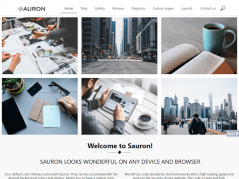 These features have earned it a 4.8 out of 5 star rating in WordPress repository (free version), which is a very remarkable rating and shows the consistency of its compatibility with various themes. It is already installed by more than 100000 blogs. It also shows how responsive their customer support has been in solving issues related to the plugin, if any. So if you want to embed professional quality Google Maps in your website without shelling out money on a fancy plugin, you should enter this giveaway. Who knows if your luck brings you the power of this great plugin without having to spend anything! The participation process is quite easy actually. All you need to do is share about the plugin on your social media profiles (i.e. Facebook, Twitter etc.) to stand a chance of winning. And actually the game is not entirely upon luck as you can maximize your chances of winning by sharing multiple times. The more you share or tweet about the plugin, the higher your chances of winning. We use Rafflecopter to host and track the competition. 3 winners win pro version license worth $67 each. The contest will end in 10 days. So what are you waiting for? Just login with your Facebook or Twitter account to take part in this giveaway. Your website’s contact page will be much more useful with a Google Map displaying your office location.